From MacVoices…hopefully this will give your group some ideas. 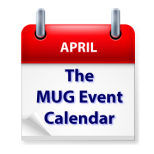 Once a year, the MUG Event Calendar goes quiet as groups everywhere take time off, reschedule their meetings, and spend time with loved ones. To you and yours, the best of the holiday season, no matter where in the world you are, or what you celebrate!